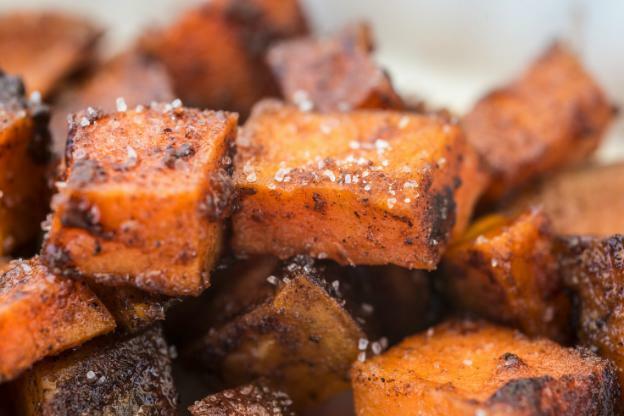 Lay the sweet potatoes out in a single layer on a roasting tray. Drizzle the oil, honey, cinnamon, salt and pepper over the potatoes. Roast for 25 to 30 minutes in oven or until tender.